Evolving Elements Water Based Acrylic Primer Sealer Undercoat prepares your wall surface for your new colour whilst ensuring optimal appearance of your top coat. 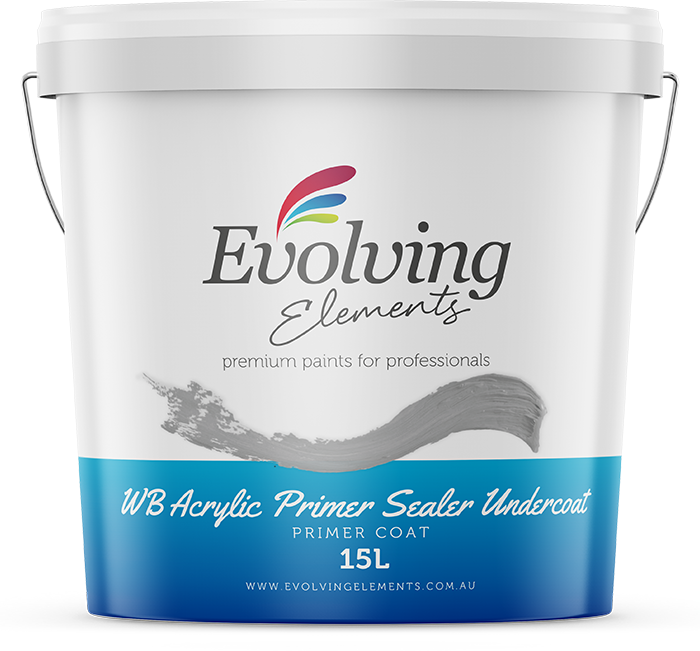 A premium quality, fast drying, water based, interior and exterior, multipurpose primer/sealer/undercoat. Formulated primarily to provide a sealed and sandable surface for topcoats. Combines the qualities desired in an interior/exterior primer: excellent adhesion, ﬁlling properties, low spatter, sand-ability, minimal odour, excellent ﬂow and levelling.